It's Finally Here! Sign up for Clash of the Warriors PR and be part of History. 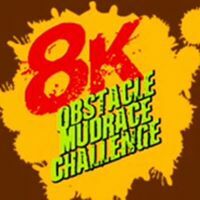 Fun filled and muddy 8k obstacle course located in Gurabo, Puerto Rico on the grounds of Hacienda El Bosque. We don't know of any upcoming events for Clash Of The Warriors PR. You can check out our list of past events and reviews below, or if you know of an upcoming race, add it to our calendar!